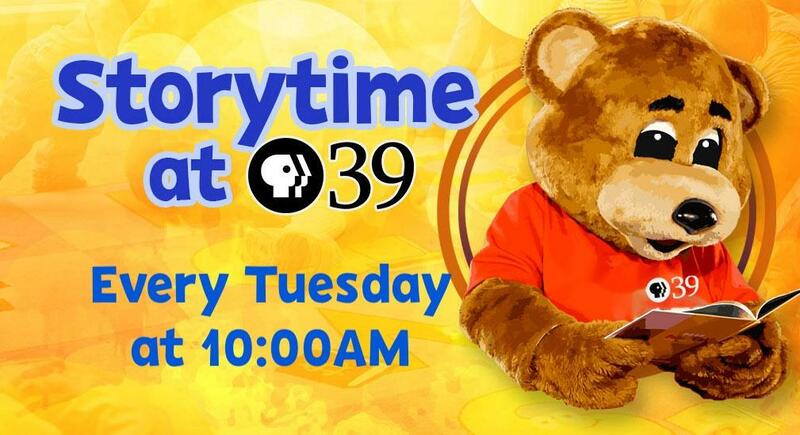 Come to Storytime at PBS39 each Tuesday beginning at 10am! Every child receives a new book for their home library! Each thirty minute session is facilitated by certified teachers who encourage children to read, dance and sing along! These weekly reading opportunities are designed for preschool children between the ages of 2 and 5, as well as their caregivers. The focus of Storytime is to encourage literacy skills and a love of reading. Early learners have the chance to participate in an interactive bilingual literacy experience with their parents or caregivers.